Leading Brexiteers in the cabinet have rallied behind Theresa May amid attempts to unseat her by Tory MPs. Michael Gove said he "absolutely" had confidence in Mrs May as he confirmed he would not be following several other ministers out of the door. And Liam Fox urged MPs to support the PM's draft Brexit agreement, saying a "deal was better than no deal". The PM has named health minister Steve Barclay as her new Brexit Secretary following Dominic Raab's exit. The 46-year old former banking executive backed Leave in the 2016 referendum and has never rebelled against the Tory whip during his eight years in the Parliament. A mini-reshuffle has also seen Amber Rudd confirmed as the new work and pensions secretary after Esther McVey's resignation on Thursday. The BBC understands Leader of the House Andrea Leadsom could oversee a meeting over the weekend of pro-Brexit cabinet members who have concerns about the deal. Mr Gove and Mr Fox are expected be present, along with International Development Secretary Penny Mordaunt and Transport Secretary Chris Grayling. The news came as more Conservatives expressed unhappiness with Mrs May's leadership and urged a confidence vote. The BBC's political editor Laura Kuenssberg said about 20 Tories have, so far, publicly stated they have submitted letters of no confidence in the PM over her handling of Brexit. This is some way short of the 48 needed to trigger a vote under Conservative Party rules. One of those to do so, ex-minister Mark Francois, said the draft agreement negotiated by Mrs May with the EU was "truly awful" and the prime minister "just doesn't listen" to concerns within her party. 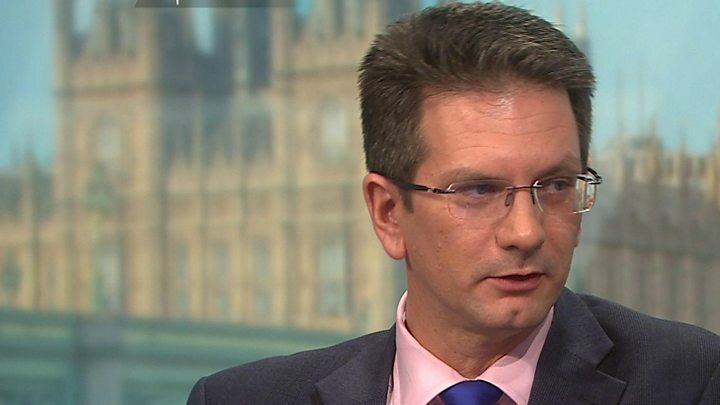 Ex-Brexit minister Steve Baker told the BBC's Politics Live that although he could not be sure of the number of letters submitted, he believed it was "close" to 48 and a contest was "imminent". If this happened, he suggested the European Research Group of Brexiteer Tory MPs, headed by Jacob Rees-Mogg, would "collectively agree" which single candidate was best-placed to deliver the Brexit they wanted and back them. But Cabinet Office minister David Lidington said Mrs May would win any contest "decisively" and "deserved to" since there was "no plausible alternative" to her approach. Rumours had been rife that Mr Gove, a key figure in the 2016 Leave campaign, would follow fellow Brexiteers out of the cabinet in protest at the EU withdrawal agreement. Media captionSteve Baker: "It's a grave matter but I think we we are close"
But the environment secretary, who reportedly rejected an offer to make him Brexit secretary after Dominic Raab's exit, told reporters on Friday he was focused on working in cabinet to get "the right deal in the future". Asked if he had confidence in the PM, Mr Gove said: "I absolutely do." He added: "I'm also looking forward to continuing to work with all my government colleagues and all my colleagues in parliament in order to make sure that we get the best future for Britain." International Trade Secretary Liam Fox told an event in Bristol: "We are not elected to do what we want to do, but to do what is in the national interest." Speaking in public for the first time since the withdrawal agreement was signed off by cabinet, Mr Fox said he hopes MPs "will take a rational and reasonable view" of the deal. He added: "I hope across parliament we recognise that a deal is better than no deal, and businesses require certainty - it's in our national interest to provide certainty as soon as possible." Michael Gove is not resigning because he thinks that even at this very late hour, he is the person who can make Theresa May change course with Brexit. This is a huge relief for Theresa May, who meanwhile has been carrying on with business as usual by trying to sell her deal. Theresa May has made it absolutely clear that she is going nowhere. Senior placed Tory MPs are saying they have reached the magic 48 letters needed for a vote of confidence against Theresa May, but Sir Graham Brady - chairman of the 1922 committee - is giving precious little away. 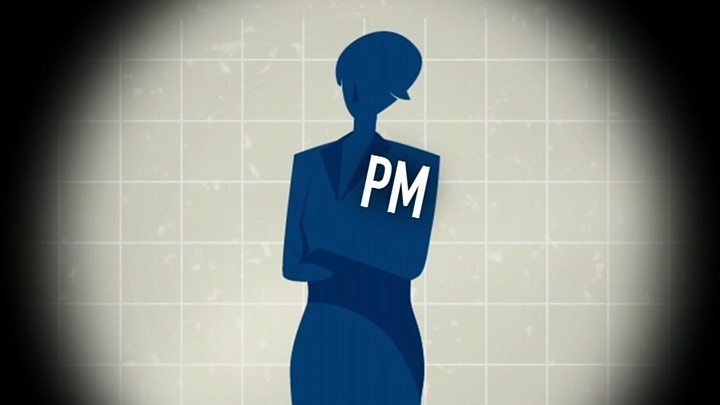 A Conservative party leadership challenge is most definitely looming, if not this morning or this afternoon, by the weekend. Michael Gove is a bit of a man of mystery, but if he doesn't take the Brexit Secretary role, it begs the question of who would take that job. Can May get Brexit deal through Commons? 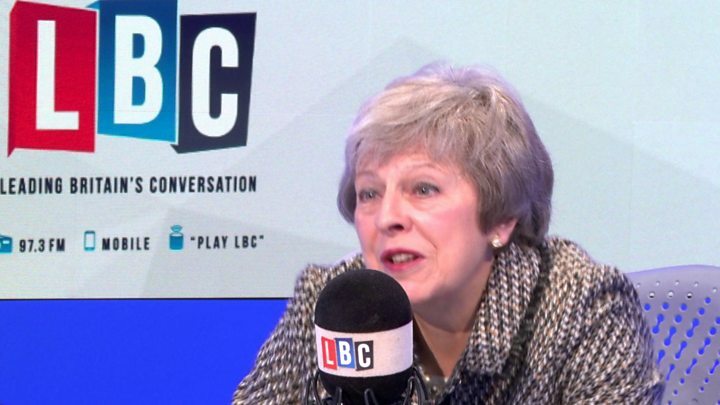 Mr Gove's decision to stay was a boost for Mrs May, who followed up a defiant Downing Street press conference on Thursday with a live phone-in on Friday morning on LBC radio, during which two callers said she should stand aside. She compared herself to her cricketing hero Geoffrey Boycott who she said had "kept at the crease and carried on". Ex-Culture Secretary John Whittingdale is among the latest Tory MP to demand a vote of confidence in the PM while a number of MPs, including Mr Francois and Adam Holloway, publicly tweeted copies of their letter. But this prompted a blistering response from veteran Conservative MP Nicholas Soames. Ambassadors from EU member states also met in Brussels on Friday morning to discuss the agreement. The bloc's chief negotiator, Michel Barnier, paid tribute to Mrs May, but said that the EU had to protect its principles even if there were political problems in the UK. BBC Brussels reporter Adam Fleming said the consensus from the meeting was that the EU should keep calm and not provoke the situation in the UK. The government unveiled its long-awaited draft withdrawal agreement on Wednesday, which sets out the terms of the UK's departure from the EU, over 585 pages. But Mrs May is facing opposition from across the political spectrum to the draft deal, which must be approved by Parliament, with critics saying it will leave the UK indefinitely tied to the EU. It is also understood that a group of cabinet ministers are also considering whether to try to force Mrs May to make some changes to the withdrawal deal.